I Have a Book on Amazon–Now What? 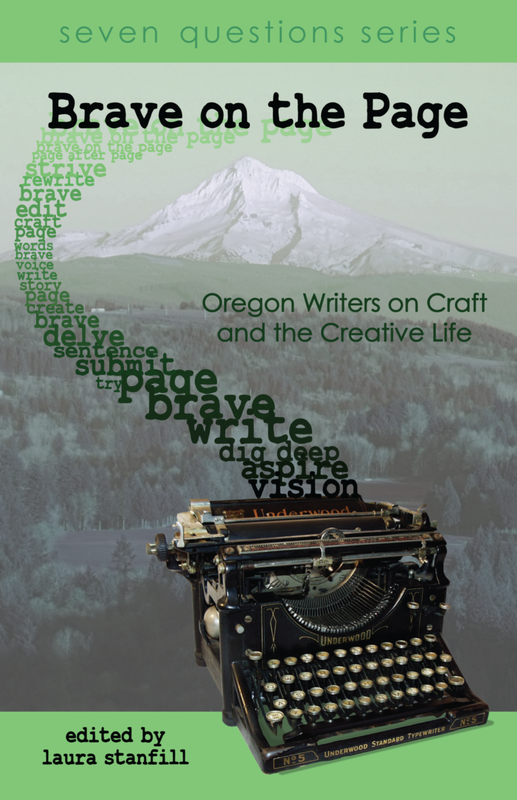 When I published Brave on the Page: Oregon Writers on Craft and the Creative Life last October, I made the decision to use the Espresso Book Machine at Powell’s, and the Espresso worldwide network as my primary distributor. Up until now, the books have only been available that way and through Powell’s Books directly. As a way to prepare for our September book launch, though, I set up an account through Lightning Source, a professional printing company that many small presses use. Then I paid my setup fee and took Brave on the Page through the necessary steps. Brave on the Page is now on Amazon! And Barnes & Noble! And, while I haven’t checked, it should also be in the Ingram and Baker & Taylor catalogs where libraries and bookstores can order it. I’ve set a short discount and will not accept returns for this particular title, so I don’t expect bookstores to pick it up, but I love the fact that come September, with a standard discount and a returns policy, any bookstore that wants to stock A Simplified Map of the Real World by Stevan Allred will be able to do so. And that release will be very different, because the Amazon link will go live around the same time as our official launch, and I’ve been crazy busy submitting advance copies for national reviews. But now I have a book on Amazon and Barnes & Noble and I’m not sure what to do. I’d love advice from all of you indie authors on what my next step should be. Asking people who have read it to leave reviews? Setting up an author/editor page? (Is there such thing as an editor page?) Follow through with my plan for an ebook and add that? I’d love some help! In order to sweeten the deal, I’m giving away a copy of either Yuvi Zalkow’s A Brilliant Novel in the Works (see this post for a taste) or an advance reader copy of Stevan Allred’s forthcoming linked short story collection. You can read more about A Simplified Map of the Real World at the new Forest Avenue Press website. (Winner gets to pick.) If you comment once or more than once, you’ll get one entry in the giveaway; if you share a link to Brave on the Page on Amazon or Barnes & Noble on your blog, Facebook, Twitter, or Google+, you’ll earn an extra entry for each link (but be sure to come back and tell me!). I’ll accept entries until midnight on Friday, June 14. The winner will be chosen using Random.org on Saturday and notified here in the comments. And stay tuned for another upcoming giveaway; in a few weeks there will be a chance to win David Corbett’s wonderful new writing resource, The Art of Character. This entry was posted in Books, Espresso Book Machine, small press and tagged Amazon, Barnes & Noble, Brave on the Page, giveaway, Lightning Source. Bookmark the permalink. 10 Responses to I Have a Book on Amazon–Now What? I’ll go check those out, Glynis! Thanks so much. I’m a big-time fan of marketing and have been working for the past few months to prepare for the launch of a short story collection this September, but the Amazon part of the equation is new to me. I appreciate you chiming in and look forward to seeing what you do. Get going on the ebook. Format it for Kindle and upload away on Amazon. Have you put the book on Goodreads? You can run a paperback giveaway to generate interest. Thanks, Emma. Okay–ebook it is. And yes, Brave on the Page is on Goodreads and I did a giveaway a few months ago, which was great, but the book was only available from Powell’s at that point, so I probably didn’t get as much sales mileage from that as I could have. I’ll remember that for future giveaways. Thanks, Florence! I will get to work on the e-book version. I had one designed but it needs fixes and I just keep putting that project off due to other, more pressing, priorities. As I’ve said before, Brave on the Page may be by local authors, but it’s potential audience is international (there are writers and readers everywhere), and I think an e-book will reach potential readers who won’t be reached otherwise. For one thing, you can do all sorts of giveaways and price experiments that aren’t possible with paper books. Reviews are tricky to because people are (correctly) suspicious of ones that are too gushy. Frankly, reviews that are enthusiastic but not over-the-top may be best (though the people who pay for fake reviews may have figured this out by now). But in general I think reviews are important. Would you buy a book that nobody cared about enough to review? Thanks for chiming in Anthony. Good point about the giveaway potential for ebooks, and that’ll feed right into getting more reviews. I think next time, when we launch the book everywhere at once, including Amazon, it’ll be easier to get reviews. Now I feel like we’re playing catchup. Laura, I wonder if you can ask the folks who so graciously reviewed Brave if they wouldn’t mind taking a minute and adding the review to Amazon. If desired, they can use the same review they have already written. There are so many gracious, giving people in your community who adore the book, this shouldn’t be a problem! Congrats to Anthony Lee Collins, who won his choice of the two books!